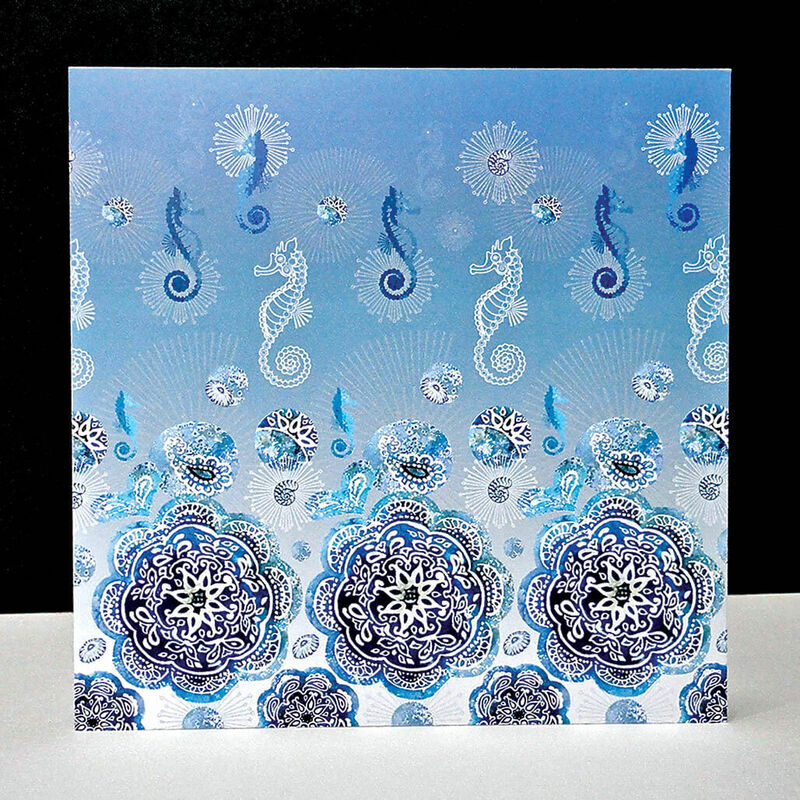 The Seahorse is the most enchanting of all small marine fish. The horse-like head and the spiral tail make a beautiful shape both in pattern and line. 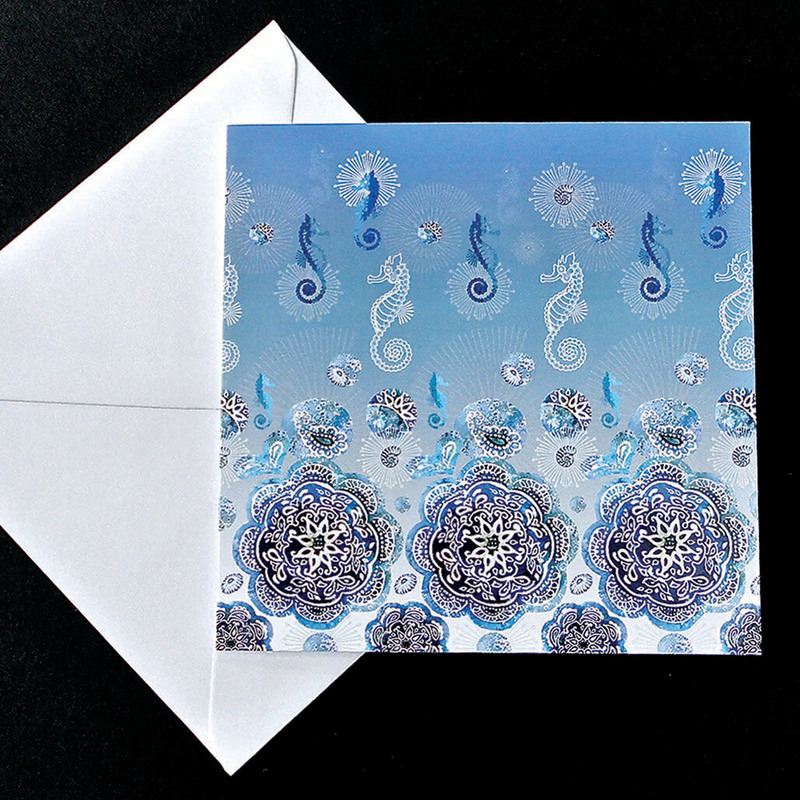 This design has lines of dancing seahorses floating on a perfect blue ombre ground with limpet & bubble shells framed in spine circular pods like opaque jellyfish. 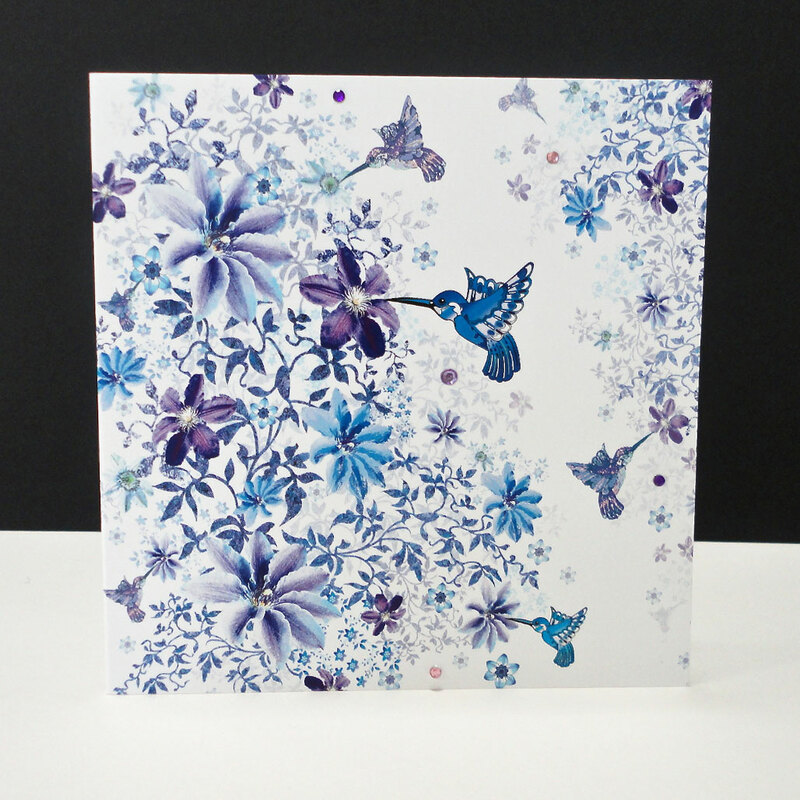 The larger floral shapes in darker tones of cobalt to turquoise blue form a decorative border. With their bleached ethnic patterns a batik look is generated into this watery scene.